I am sending a fairy to watch over your smile. Because it is the most precious and beautiful thing in the world. Happy 28th birthday and I hope you have many more ahead. Oh so you have turned 28 now. I don’t mind your age as long as we get to celebrate. Happy 28th birthday mate. Let there be plenty of drink and food at your party. And let there be many friends like me getting wasted. Happy 28th birthday my friend. Today is the day to light candles, the day to put up colorful balloons. For it is a special day. Yes it is your 28th birthday. Happy birthday. Your birthday is not only for you to celebrate. It is a special day for me too. For this is the day my partner in crime gave his first cry. Happy 28th birthday. In life you will have a few bad days and many great days, many tired days and many holidays. But, that is no excuse to forget the biggest and happiest day. That is your birthday. Happy 28th birthday. Today is a special day because every year this time you get an opportunity to start afresh. Don’t let this special occasion slip by. Happy 28th birthday. Put on your best dress, cut a big cake, party around and give the world a big smile. Have a crazy 28th birthday full of laughter. Happy birthday. I hope you live forever and brighten the world with your smile. For this world has been so much better ever since you came into my life. Happy 28th birthday. I have yet to meet a kinder or a more beautiful soul than yours. Hope all your goodness pays back ten folds and makes your 28th birthday amazing. Oh my the sun was complaining about you, saying that you spread more warmth, sunshine and happiness in people’s life than it ever did. Happy 28th birthday my sweetheart. Thank god for the birthdays, for this is the only day in the year which comes without putting effort. But do put an effort to remember everything good today. Happy 28th birthday. I have packed a truck full of excitement, happiness and fun for you. Hope you receive my package in full swing. Happy 28th birthday. You know you can never win against me or aging. So, my only advice dear friend is, stop trying and celebrate this special day in a special way. Have a stupid and happy 28th birthday. I know you got many friends and many people who love you. But if you forget to invite me to your party, there would be many people who would miss you. Happy 28th birthday. We fight over the stupidest things and laugh over them later. And through these stupid fights and crazy laughs I realized, you are the best friend I have. Happy 28th birthday my dear. Every year before your birthday, I am happier and merrier. Don’t be too excited, it is because I know you will treat us to a big party. Happy 28th birthday. My only wish this year is that may you never change a bit. For I have no idea where I can find another person as amazing as you. Happy 28th birthday. Birthdays are those days when you are allowed to be crazy and you can get away with any mischief. So make the full use of this liberty. Happy 28th birthday. 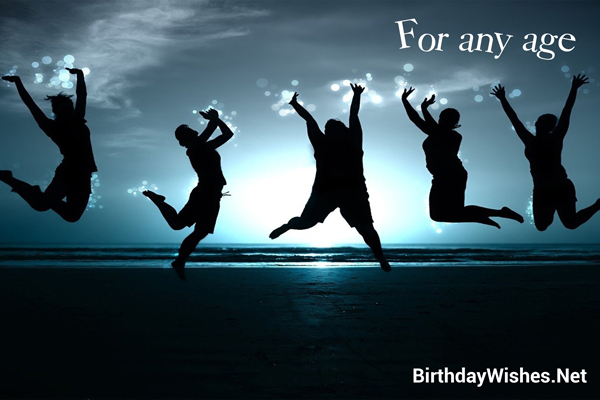 Check out this amazing collection of 28th birthday wishes, the 28th birthday wishes on this page incorporate the messages from these article, but feel free to add your own.